A rare (these days) GM four-door midsize from the psychedelic era, this 1968 Pontiac Tempest Custom was just the right size for most families back in the day. The full-sized cars just kept getting bigger and bigger, so much so that this green example — a MIDsize, mind you, is actually an inch longer overall than Pontiac’s 1955 Chieftain four-door. 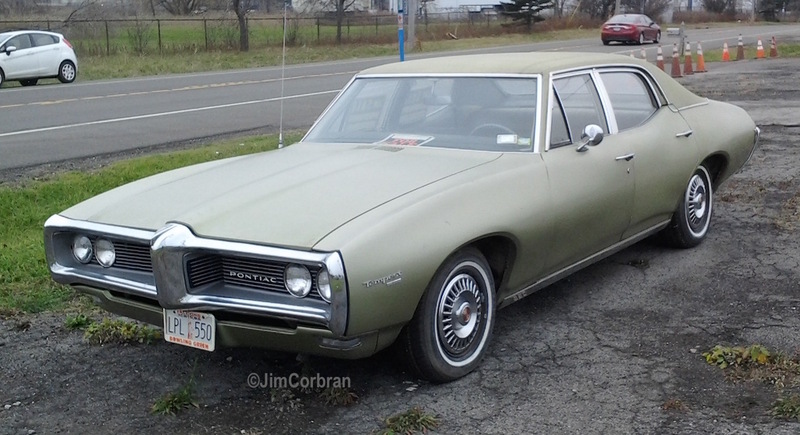 The full-sized ’68 Catalina four-door was yet another foot longer than this green-on-green-over green example I found in Niagara Falls a while back.